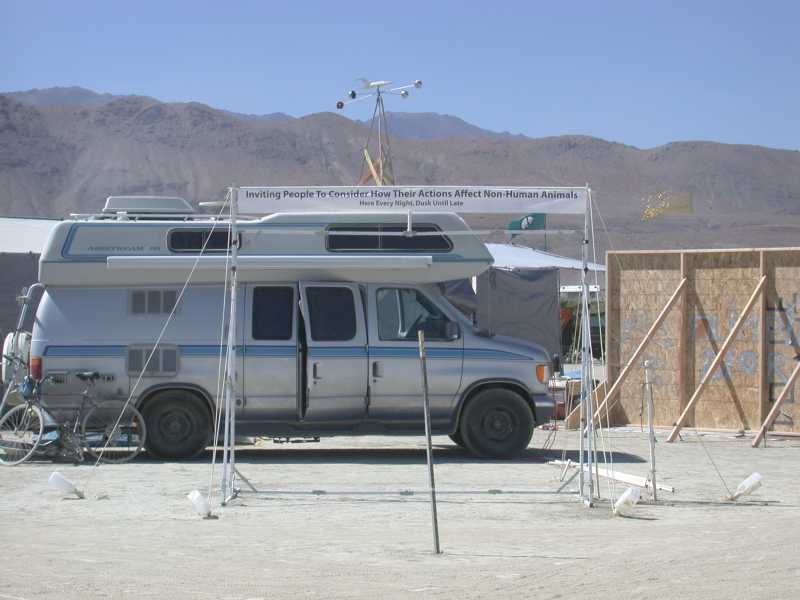 In 2005 we were located at the intersection of 6:30 and Amnesia, with our 12.5-foot video screen facing diagonally toward the Esplanade and Center Camp. We projected video for approximately six hours each night, over five nights, for a total of about 30 hours. We estimate that we reached at least 5,000 people, about 750 of whom stayed and watched at least a few minutes of the video.